Many in our industry refer to themselves as ”Insurance Salespeople” or “Insurance Brokers” as if the objective of their efforts is to sell an insurance policy and collect a commission. Yes, selling a policy is necessary to make a living, but the real objective for the insurance professional is to identify a problem or exposure for the client and solve it through an appropriate insurance product, risk management process, or through a non-insurance mechanism. The focus should be on design and implementation based on need and perceived risk – where the solution to a problem is the implementation of strategies and techniques which may or may not include insurance. All too often it is the peddling of an insurance policy that trumps a well thought out process of uncovering and addressing what really needs to be protected. If you have good medical coverage, consider dropping the medical option on your automobile policy since it mostly is a duplication of coverage provided under most health policies. If you are a senior, take a safe driving course and get an additional discount. 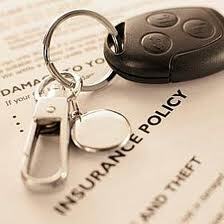 Insure your car with the same company that insures your home and get a 10% discount. 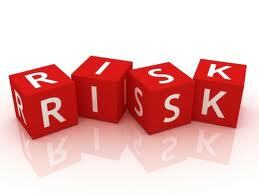 If you do not drive a lot, consider high deductibles or even self-insuring on collision and comprehensive. The less you drive the less chance you will be involved in an accident. Some autos are more expensive than others to insure Each car is assigned a “symbol”. The higher the symbol, the higher the cost of insurance. If you are considering buying a car, call your agent and ask what symbol it is and how it affects your premium. The cost to raise your liability limits from $100,000 to $300,000 is surprisingly inexpensive – and you triple your coverage. If you don’t drive a car for long periods of time (winter lay-up) consider suspending the insurance for that period of time. Insurance is high for young drivers – especially if they have their own car. Consider buying a reliable older car for your teenager where you can self-insure for collision and comprehensive without risking a big investment. The author of this blog, Guy Hatfield CPCU CIC, can be reached at 203.256.5660. Automobile insurance has always been a hot topic since it affects virtually all of us. The premiums involved are significant. Thankfully, rates have stabilized and, in many cases, premiums are declining. There are a number of reasons why this has occurred. Companies now share information with each other. Because of this the correct premium can be established right from the very start since the applicant’s record is readily available. Before this system was implemented, insurance agents and companies had to rely on the “memory” of the prospective insured who often failed to disclose every incident. Now every individual is charged the appropriate premium based on his or her motor vehicle record and loss history. People are more safety conscious and certainly are more aware of the dangers and penalties of driving under the influence of alcohol. Teen-awareness seminars and “safe ride programs” have done much to curtail the high incidence of youthful accidents. Cars aren’t made like they used to be – and thank goodness! Automobiles are much safer now with the advent of airbags, anti-lock brakes and other safety features. The better vehicular design has done much to reduce bodily injury claims. Even though premiums are on the decline, be careful of companies that use the overused slogan “great rates for safe drivers”. Some insurance carriers advertise low rates for a safe driver but as soon as you have an accident you may be considered “unsafe” – and you might be dropped like a hot potato. Choose an insurance carrier that won’t cancel you at the first sign of trouble and, above all, choose an agent that will go to bat for you if you are unfairly treated.